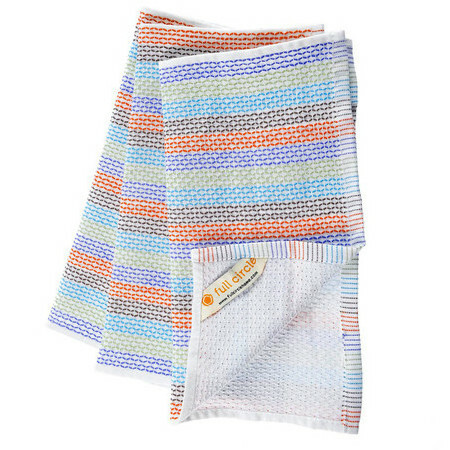 These Full Circle Tidy Dish Cloths come in a pack of 3 (one in use, one in the wash and one in the cupboard!) and are made from 100% organic cotton and 100% non-toxic dyes, making them safe, earth-friendly and sustainable. An ideal alternative to conventional cotton dish cloths, these super-soft, absorbent and durable cloths are designed with loops in the fabric for extra scrubbing power, and can also be used to dry dishes quickly and without streaks. 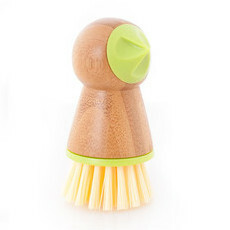 They feature a handy hanging loop; are machine washable and can be tumble-dried on low. Each cloth measures 30.48cm x 30.48cm (12" x 12"). Made from 100% organic cotton and 100% non-toxic dyes. Wring out cloths after use and hang or lie flat to dry. Machine wash in cold water with like colors and tumble dry on low. Use of fabric softener during the rinse cycle is NOT recommended when washing the cloths. I like the cloths but don't find the material as useful as I expected. 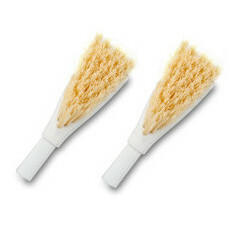 I use them mostly to dry down bathroom surfaces. After a while, the coloured threads wear and break and then the cloths get very tatty and threadbare! I won't buy any more. 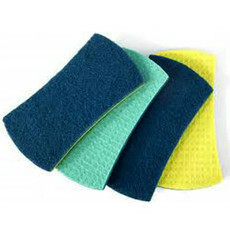 Love them as a great all round cloth to wipe up mess in the kitchen and bathroom. I wish you stocked the grey ones to I can seperate my kitchen from bathroom cloths.